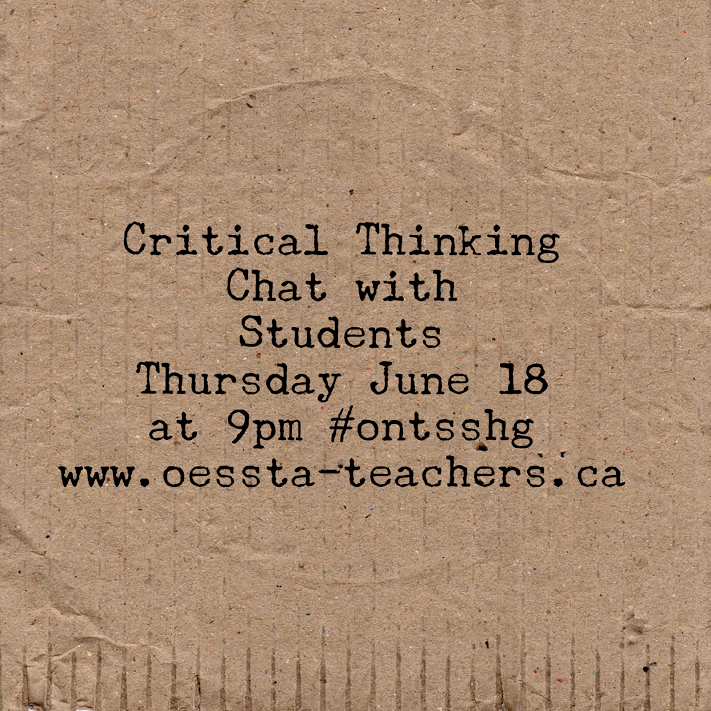 Inquiry-Based Learning: Students Join Twitter Chat! 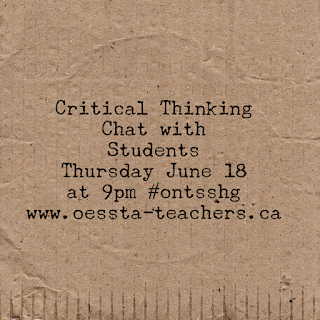 Check out the archived discussion from an #ontsshg chat with Rashmee Karnad-Jani (@Ms_Karnad) and her students. It's about Critical Thinking and students with Individual Education Plans (IEP). Stay tuned because Rashmee and her grade 8 students will be blogging about their experience here!